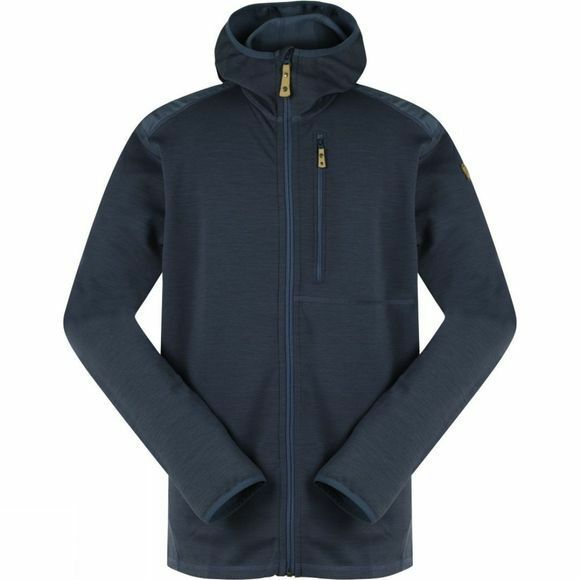 The Keb Fleece Jacket from Fjällräven is a high quality warming mid layer with elastane content to provide great stretch and recovery for freedom of movement and comfort. The wool blend provides great wicking qualities whilst keeping you warm and toastie in cooler conditions. 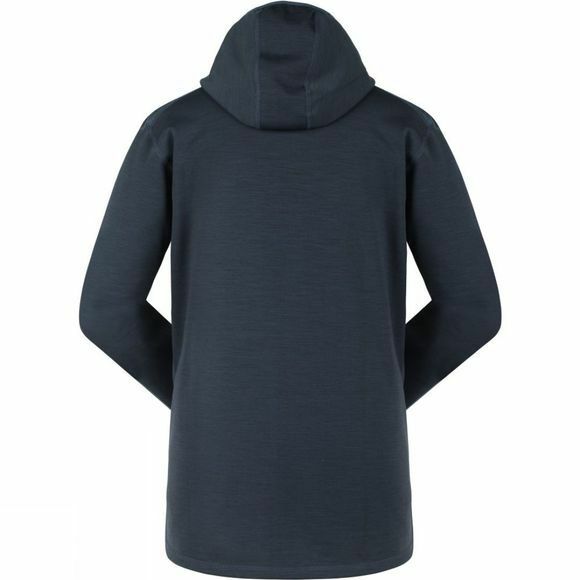 It has a high neck for extra protection against a breeze and the shoulders have been reinforced with G-1000 Original for enhanced durability when wearing a rucksack. A large zipped chest pocket can be used to store smaller essentials securely and flat lock seams are comfortable and reduce the chance of chafing occuring.